Oil City Press Ltd. is pleased to offer a range of free online services to assist you in moving your projects forward, 24 hours a day! 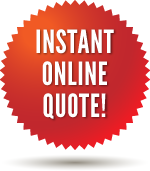 From here, you can easily transfer production files, request an estimate, or place a new order. A customer service representative will contact you as soon as possible to review your project requirements and answer any questions. Choose an option from the menu on the left to get started! The Oil City Press Ltd. Online Proofing and Document Library Systems provide an easy method of proofing and managing documents or project files from any computer with an Internet browser – an ideal solution for brokers and project managers. Contact one of our customer service representatives to create a customized account. Of course, we are always available to discuss your projects in person. Contact us during regular business hours to set up a free consultation. Our experienced and friendly staff will guide you through the printing process and provide options to suit your budget and production timeline.